Last week’s tragic train derailment on Amtrak’s northeast corridor raised a lot of safety and regulatory issues with commuter trains and infrastructure. It also shined a renewed spotlight on an 18 year old federal law that could limit the amount of money victims of Tuesday’s derailment receive from Amtrak. In 1997, Congress passed the Amtrak Reform and Accountability Act, which was designed to provide financial support to Amtrak. As a part of that bill, Congress placed a limit on the amount of money that could be recovered by victims of a train accident. The cap applies to all railroads, not just Amtrak. Based on that legislation, victims of train accidents are currently limited to a maximum payout of $200 million. 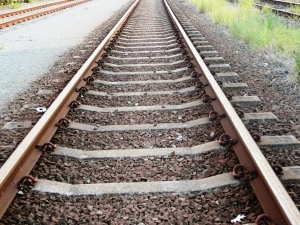 The cap is not per injury; the total amount that a railroad can payout per accident is $200 million, regardless of the number of injuries or fatalities. The train derailment in Philadelphia is not the first train accident to spark concern that the settlement cap on rail accidents is too low. In 2008, a commuter train crash in Chatsworth, California caused more than 100 injuries, as well as 25 fatalities. According to the Los Angeles Times, the railroad that operated the commuter train, Metrolink, and its operating contractor, Connex Railroad, offered a $200 million settlement to victims of the accident. Though the railroad’s settlement reflected the limit of its liability, based on the Amtrak Reform and Accountability Act, CNN reported that an attorney for some of the victims believed that the amount would be inadequate to compensate the victims. Specifically, the attorney believed that some of the victims would face hundreds of thousands – or even millions – of dollars in medical bills. According to CBS, damages from the accident were estimated at $600 million. While there was an effort to raise the limit after the Metrolink accident, there was not enough congressional support for it to pass. Just as the Metrolink rail accident left over a hundred victims with an inadequate payout, experts believe that the payout from the Amtrak derailment will be woefully inadequate. According to the executive director of New York Law School’s Center for Justice & Democracy, as quoted in an article from BloombergBusiness, victim’s medical bills alone could top $200 million. On May 18, 2015, Senator Bill Nelson introduced legislation that would raise the payout cap from its current level of $200 million to $500 million. According to the International Business Times, it is still unclear how much support Senator Nelson has for his bill, and whether or not there is a good chance that it will pass. It is also unknown what other options Congress may explore to more fully compensate the victims. If you or your loved one has been injured in a train accident, it is important to understand your options. Contact our personal injury attorneys for help. Dealing with these tragedies is difficult and traumatic enough. Our attorneys will provide you with support, and help you navigate the complexities of the legal system to help you seek justice.